If the Quesada Selección España sounds particularly… “Spanish”, well that’s exactly the point! España, Spanish for “Spain”, has long been one of the most limited and sough-after cigars offered by Quesada. The blend came about when Quesada realized a demand for a more affordable smoking experience for Spaniards, as the price of their traditional Cuban cigars became increasingly unmanageable. Naturally, the cigars were blended to showcase a very Cubanesque profile, a specialty for Quesada Master Blender, Manuel Quesada. Using a diverse, multi-national blend that spans the Dominican Republic, Nicaragua, USA, and Ecuador, España was able to showcase classic flavors with a more modern, fuller body. Originally only available to the Spanish market, the cigars quickly grew in popularity, eventually making their way to the US. 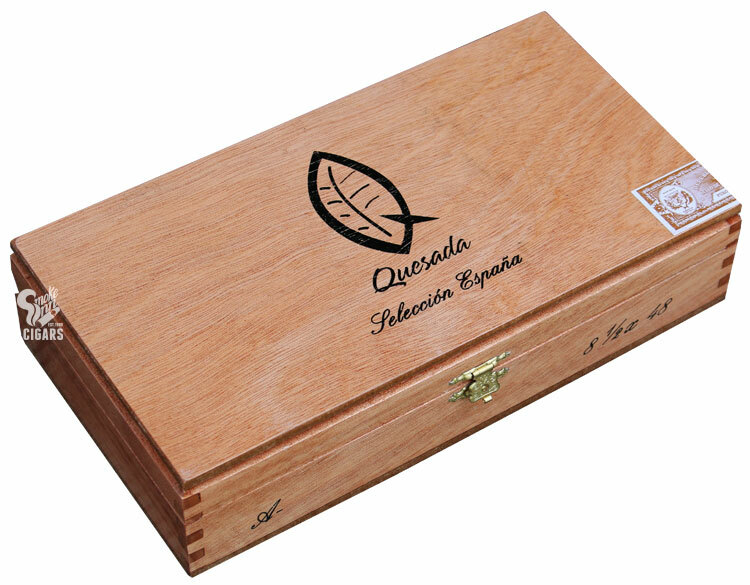 Now, Quesada treats hungry cigar fans to a new vitola of the Selección España each year, releasing a very limited quantity to select retailers throughout the year. For 2016, Quesada has tweaked the classic “A” vitola, only shortening the size and cleverly coining it the “A-“ (A-Minus).